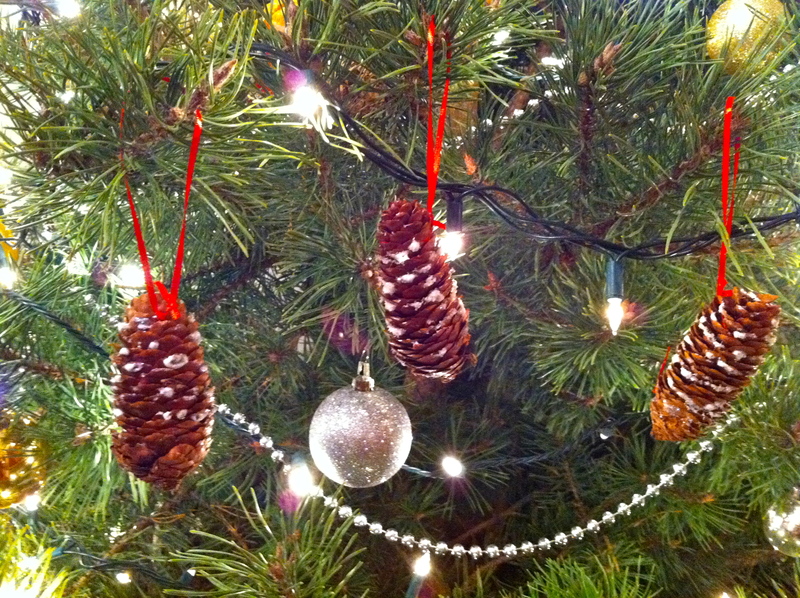 What looks nicer on an evergreen tree than pine cones? Glittered pine cones of course. Gather pine cones from your yard, if you are lucky enough to have an pine tree, and bring them in for a simple Christmas decoration. 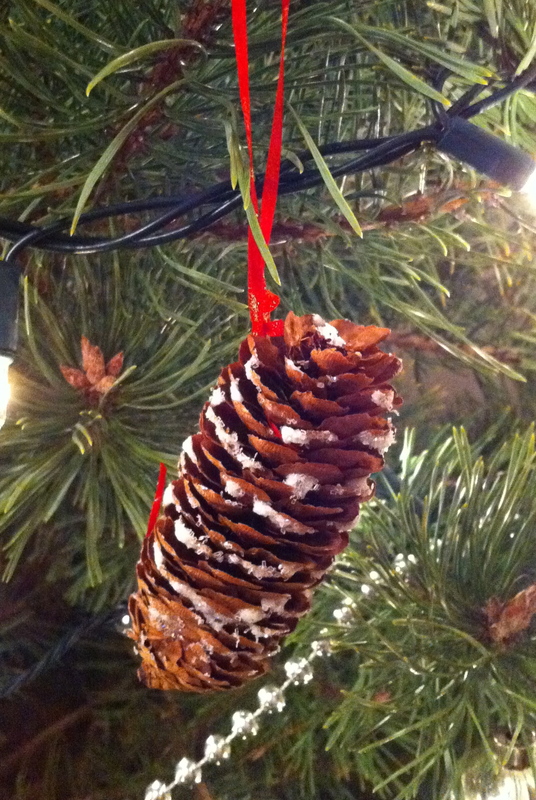 Start by tying a ribbon around the top of the pine cone. 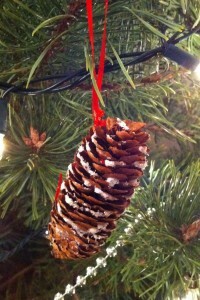 Squeeze some glue onto the pine cone, regular school glue works fine, and sprinkle with glitter. We chose a white glitter to mimic snow but you could experiment with different colors and designs. 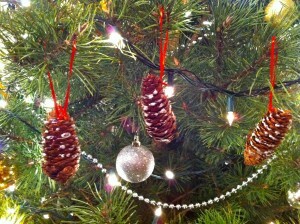 This entry was posted in Holiday, Home Decor, Quick Repurposing and tagged ornaments, pine cone. Bookmark the permalink.